Immediate opening for multiple Call Center Customer Service Representatives. The Leader in the Basement Repair and Remodeling in Central Ohio that pays for performance is seeking part-time enthusiastic inbound/outbound call center customer service representative – THERE IS NO COLD CALLING REQUIRED. We are looking for energetic individuals with the ability to multi-task, and who have experience in a fast-paced call center. This is a part-time position and the hours would be afternoon and early evenings with some Saturdays required. The job does have the potential to move into a full-time role. Answering incoming calls using a monitored headset while entering data into our system. Assisting customers with their home improvement concerns. Using multiple databases to input customer information. Being a team player and being able to step in to support co-workers. Must have valid identification and reliable transportation. Pay is hourly plus performance bonuses when earned. Company-provided health, life, and disability insurance are available for full-time offers of employment, which may result from successful part-time employment of no less than 90 days. Paid personal and sick days, holidays, and 401(k) match based on seniority. The Basement Doctor will pay 100% for your Short Term Disability and Basic Life Insurance. At The Basement Doctor: We are a licensed general contractor that repairs basements, foundations, and crawl spaces. We’ve been in business for over 31 years and our customer satisfaction rating is over 95%!  You can feel good knowing that The Basement Doctor was selected as one of Columbus CEO and 10TV’s Top Workplaces for 2015, 2016, 2017, and 2018! We are also very involved with our community and support places like the Ronald McDonald House, LifeTown, and Special Olympics of Ohio, to name a few!